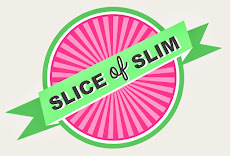 Slice Of Slim: SOMETHING FOR NOTHING : New Category! I've decided to introduce a new category to the blog called SOMETHING FOR NOTHING, where all my zero-propointed recipes will be listed. So, even on the days where you have 'blown the budget' but still need to eat something, or want to eat sensibly because you are trying to save some propoints for a social occasion, you won't need to go hungry! All you need to do is search under the Categories heading on the top right of the blog page, click on Something For Nothing, and all my ideas will come up for you. Food really can be magic!